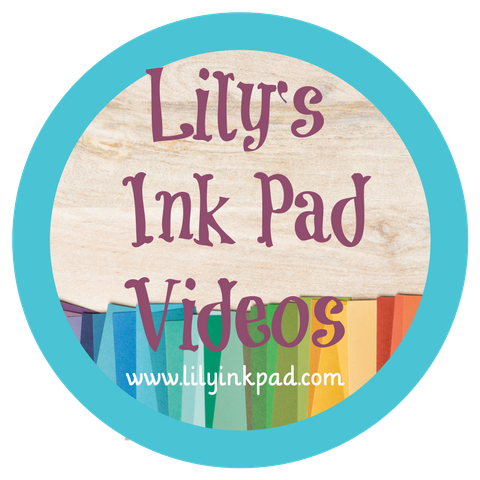 Lily's Ink Pad: Out comes the Sun! Hopefully! 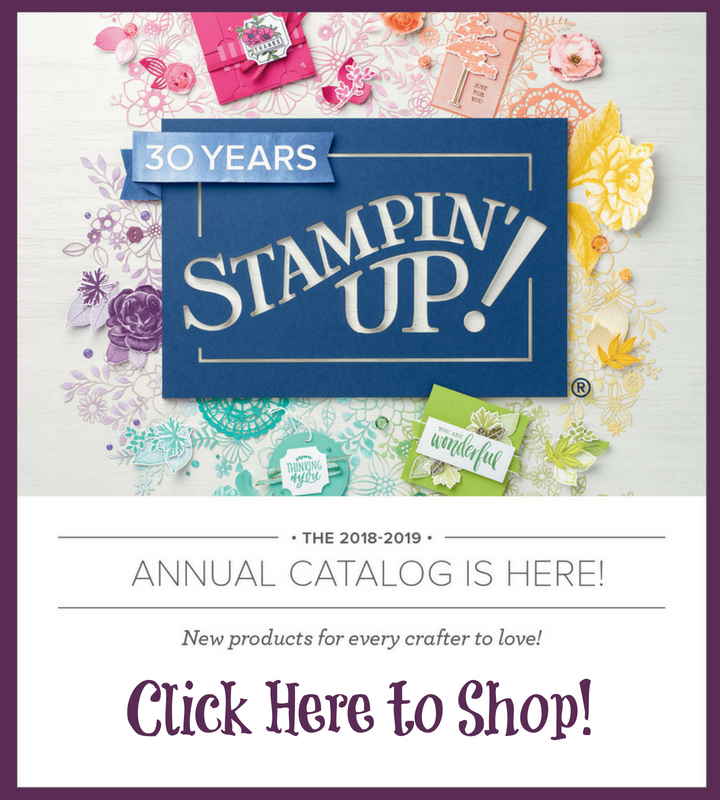 At least in Wisconsin, we hope this every day in spring! 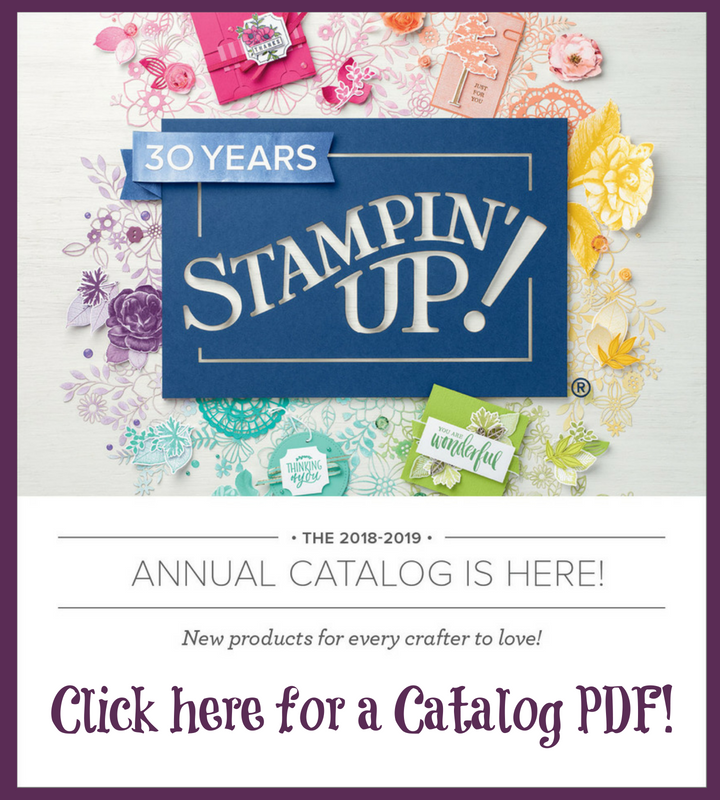 Accessories: Big Shot, Cloudy Day Embossing Folder, Brights Buttons, Daffodil Delight Stitched Ribbon, Blender Pen or Aquapainter. 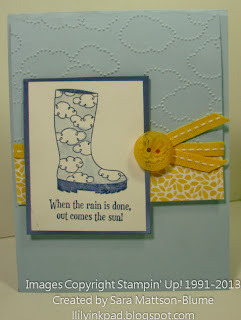 For this card, I wanted to mimic the clouds in the boots with the embossing folder, so I also added a sun for contrast! 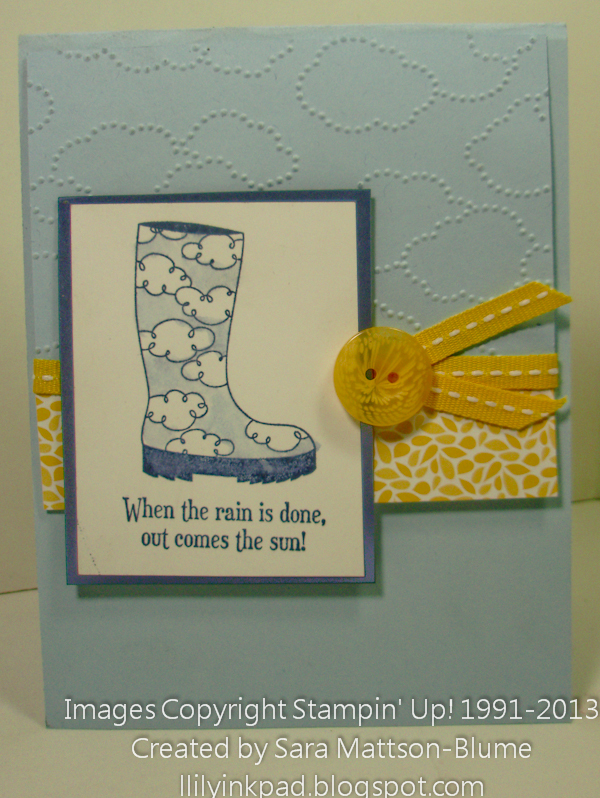 We stamped and colored the image with a blender pen to get a nice blue on the boot. Other than that, it was a pretty straightforward card!